Talking about Holiday - and Spotify - L'Amour Peut Prendre Froid is blocked in Holland. Is this the same for every country but France and Canada maybe? Is this because of copyright issues? Blocked in Italy, as well. 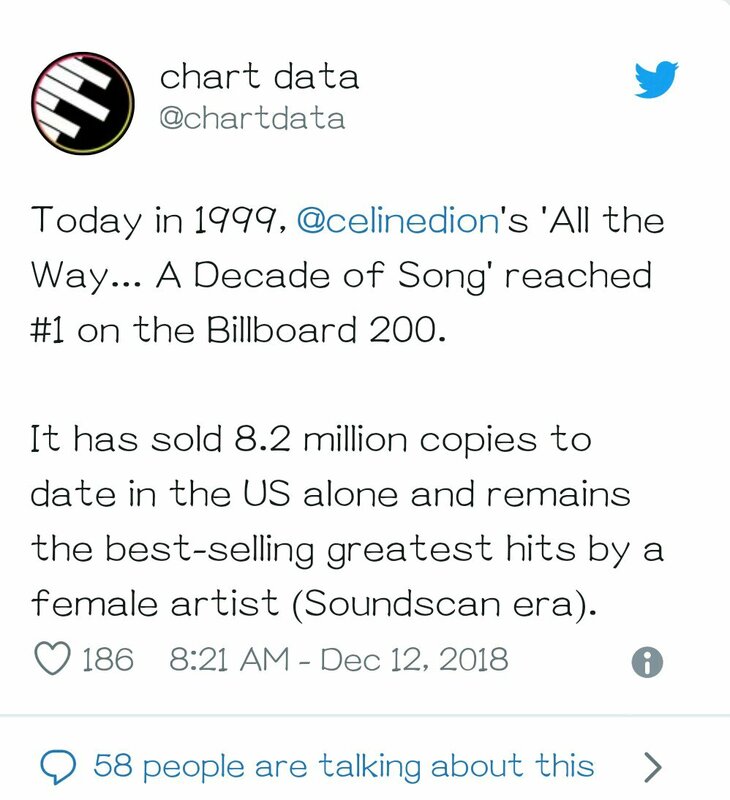 Celine Dion is the 2ND Best Selling Female Artist in Japan of all time with 7.22 Million sales there. Edited by Dion my heart Barbra, 26 November 2018 - 06:59 AM. Wear black if you have sold more than 50M Pure Sales in US, has 2 Diamond albums, has grammys and if you can sing. The Power Of Love reached 100m views on Youtube. Edited by Danystar, 25 February 2019 - 08:32 AM. 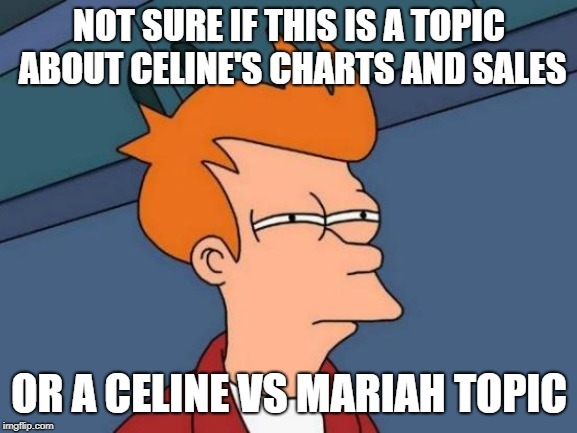 Celine still sounds spectacular and powerful after all these years. Mariah's voice has diminished the way Whitney's did, sadly. Going to see Celine is still an incredible experience. Like Barbra Streisand. Or even Cher. The chance to see Mariah is gone. She was fantastic in the 90s but it's just not the same. I wish Whitney had never gone on that final tour either. In her prime, she was the greatest but by the end of her career her voice was almost entirely gone. Well, this only includes videos on her official account. I believe this one is Celine's song with the most views (194 million). Which I hate btw because her voice in this video is for some reason pitched up and reminds me of terrible A New Day era . She should have been. 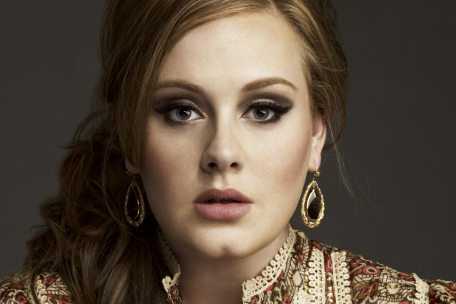 She definitely sold over 4 million copies in Japan. I also wonder about Whitney's figure. Does it include the Bodyguard soundtrack? I wish you'd do some research before claiming these things. I am sure you know how to Google. I'm not a Mariah fan, but facts are facts. Edited by Dion2000, 26 February 2019 - 04:56 AM. of course everything can be fake news. I love that you got all these certifications from the RIAJ, but I can't find them. So please in your infinate wisdom, please share your sources with this humble peasant fan. And btw that Chartmasters site doesn't look more to me than just a website run by music lovers, than an official agency. Nah too much trouble and they might be fake assumptions as you said its Wikipedia and everyone can alter the numbers. You just give me your original sources.